Rush Greenwich franchise coming soon! 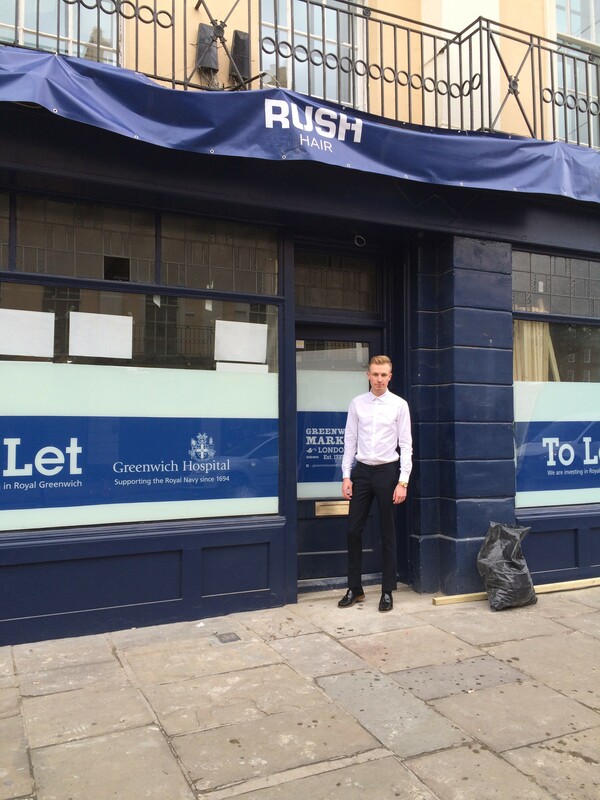 Meet Kieran, former Rush stylist and now soon to be Rush Greenwich Franchisee. I talk to Kieran in the run up to his new salon opening on Saturday 21st May about his location and his franchising process so far. Hi Kieran, tell us about yourself? What did you do before deciding to open a Rush franchise? I’m 23 years old and grew up in Canterbury. I started hairdressing at 16 years old where I did my hairdressing apprenticeship for Rush in Canterbury. I then had a change of heart and wanted to move to London. I worked and trained in a top London salon in Sloane Square and specialised in colour. When I worked for the company I thoroughly enjoyed my time during my apprenticeship. I feel the brand is growing, it’s on trend and Rush have a passion to provide every client with fabulous hair. Being a previous Rush employee I know how the brand works so felt comfortable franchising with Rush. The opportunities for training and career progression within the company are excellent and I wanted to be part of an award winning, growing brand. The process has been rather easy throughout, everyone has been so helpful and supportive. If anyone is thinking of becoming a salon owner and running their own business I would really recommend it. What made you choose Greenwich to open your Rush salon? After meeting the Chairman Andy Phouli and discussing locations, we spoke about Greenwich. I was already looking to buy a house in Greenwich so it felt like it was meant to be! It’s a busy area with a great atmosphere and so close to central London. I want to develop my career owning and running my own salon as well as being able to teach and develop my team to deliver a high level of cut and colour services. I strive for perfection with every team member and every client and I want the best out of everyone. Having a happy client makes myself as a hairdresser very proud of my work and what I have achieved.